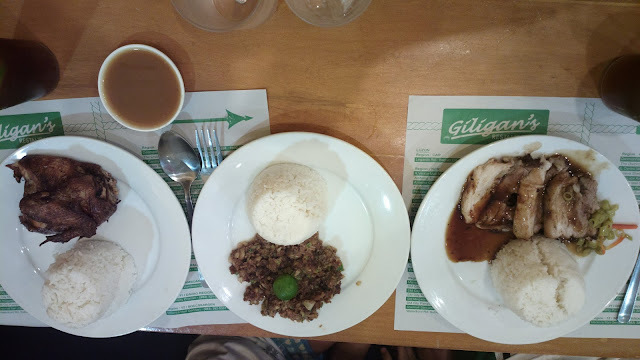 I've always associated Giligan's Island as a bar since this place had been one of the ever present bars during the day to accommodate day drinking call center agents when I was still one. So it's quite a surprise to realize that this place is perfect too when it comes to dining; hence, their name is Giligan's Island Restaurant and Bar. I have only discovered the weight of "restaurant" under their name recently. This had always been the same, regardless of the branch you visit. It's an inviting sea adventure style inside. It's no wonder since the name of the place may have been adapted from a late 1960s popular comic show about 7 castaways who survived a shipwreck in what is called as Giligan's Island. 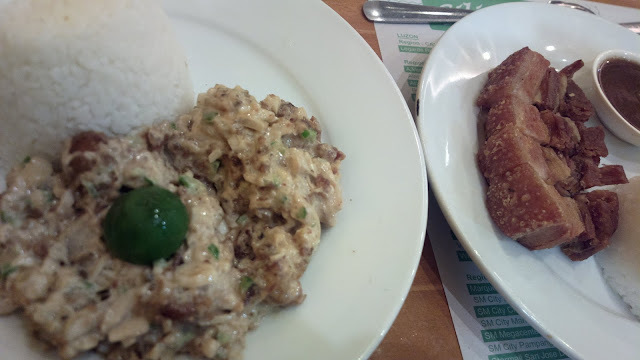 We have sampled French Fries, beef caldereta (which was OK), lechon (it was crispy and delicious), and crispy sisig (it is indeed crispy and the runaway winner for me). 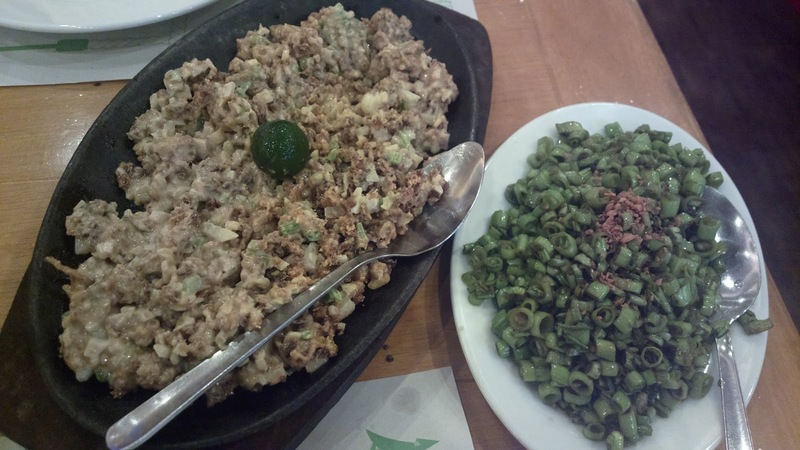 This could be the best sisig I've tasted so far. It's served in an affordable rice meal too with an optional ice tea drink on the sides. 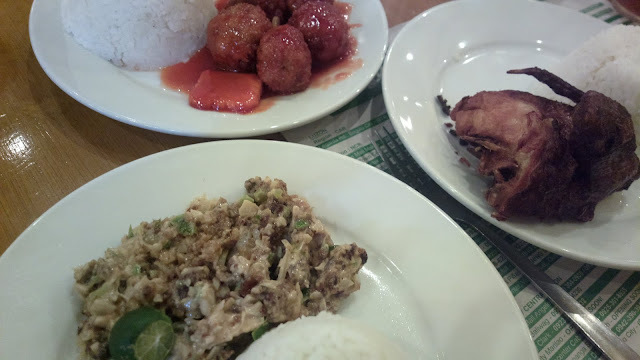 The same applies to the other 99 meals including caldereta and lechon. 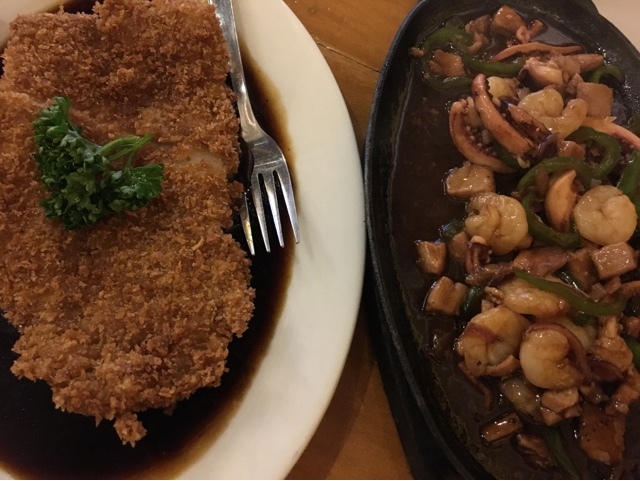 For more information on Giligan's Island Restaurant and Bar including the complete menu, promos, branches, reservations, contact information, and more, visit www.giligansrestaurant.com. Because I probably have more photos to show about this place than thoughts to share about. 😅 I also have even more images via Zomato. 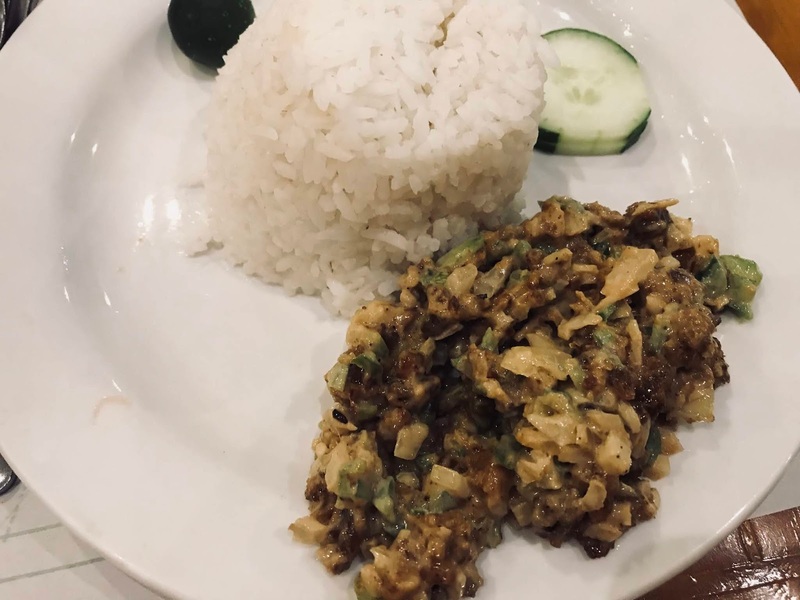 That seafood sisig is better off as pulutan but I often eat it as it is.